Your typical beach photo: sand, water, waves, feet, sandy footwear, bright towels, and a book-like thing. 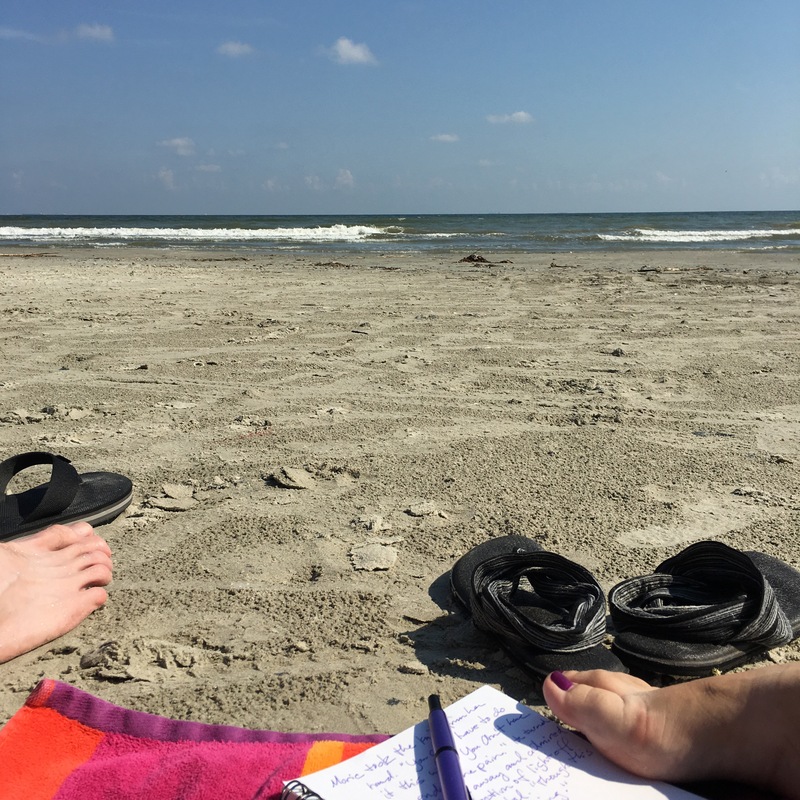 I asked Jon what he wanted to do for his birthday, and he answered “Go to Galveston.” So here we are (a few days early), his foot and flipflop on the left and my foot and sandals on the right, looking out at this gorgeous water. For anyone curious, that’s a Pilot Vanishing Point fountain pen on my book, which was a gift from him a few Moviversarmases ago. We’re on the Gulf side of Galveston, and the water is a marvelous 86 degrees. We didn’t want to get out of the water. We also saw pelicans, plovers and a godwit. This beauty is literally an hour’s drive away from home. We’re pretty sure we’re going to come back here frequently. Next up – a Harvey benefit dinner!